For those who may look at this title and have dirty or naughty thoughts going through your mind, get your head out of the gutter! (Just kidding,smile) But there is very a good reason, I titled this journal as a way of getting your attention. As I look back on some of my failed relationships and one failed marriage, there was one common thing that I really hated, that was arguing. I really hated to fuss or fight and having those type of situations can make any man or woman not even want to come home. If you ever been in a stressful relationship or marriage then you would agree, that there is nothing worse than coming home to a person that always complains, fusses, fight or argues. If you ever experienced being in a relationship with a person who enjoys arguing or a person that always has something negative to say, then you know what I am talking about. If not let me describe this person to you. (1) Have you ever encountered a person who thinks, they know it all? You know the person that has been to college for over 20 years? The person that brags about how many degrees they have, PHD's or how much more experience in life they over yourself. Or the person that enjoys talking about people, including yourself or someone who enjoys spreading rumors or lies. They watch the news or televison so much, that they themselves become, Anchor men or women. (2) Or have you met the perfectionist? You know they type of person that does not want a hair in their head to get out of place. House is perfectly clean( I am that person smile). Someone who takes so much pride in themselves, that they forget that others are not that way or they may feel they have never made a mistake in their whole life, therefore they are perfect. (3) Finally the person that has a lot of friends or relatives,you know the ones that seem to always get in your business? Your man or woman love their friends or relatives' so much that they either tell them everything that is going on in your business or in your house. (Especially the bad stuff!) Or your spouses friends , then relatives might try to influence your mate to do something that you may not like. Those are just some of the things that can drive a man or woman crazy and those things can break up a happy home. It seems the people that do not have a man or a woman are the ones, that are always trying to ruin your relationship. My mother used to say misery loves company and if you happen to have more happiness then your friends or relatives then they aren't happy. Also you have to be, on the look out, for people who are either jealous or envious of you. These people will stop at nothing or will do anything to ruin your relationship or marriage. It seems when you think everything is good at home, is when the devil comes right in and tries to ruin your life. I have been asked this question by many women in my lifetime," Why is it that men do not seem to know what they want or need ? "After some careful thought or consideration, I began to realize that when it comes to love or marriage, both men and women have a lot in common. Most men or women only want to be happy or satisfied and want a a life that's free of drama or stress. 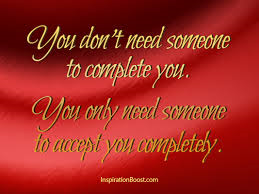 Everyone regardless of back ground,color or race want someone they can call their own or their soul mates. To some women, men may seem complicated, but just like women, men have feelings too. Men hate it when they are lied too, cheated on or deceived. Men respect people who are very up front with their feeling or beliefs, but men also have very little respect for women who pretend or those who are deceitful just to get something they may want or need. But what makes almost any man mad or angry is a woman that enjoys arguing or one that loves to insult and put down her man. From my own experiences, I often reflect on those bad memories. Those bad times or memories are the ones that make me more cautious when dating or looking for a spouse. After having many conversations with many men I begin to realize that most men feel as I do. I want to assure any woman who may read this and say, "Yes, there are many good men out there a lot of them are clean cut or have their own style, well mannered, God fearing, caring, hard working, drug free and understanding . If you consider yourself a good woman or a good wife, then understand this God did not stop creating or making good men. Where are the good men? They are everywhere and in places you may not even consider looking in. But just like many women ,men are scared or fearful of giving their hearts to someone who may hurt them. After all women are men's biggest weakness. Also after some careful thought and prayer I began to realize, where there is trouble the devil is always in the mist. I know there are a lot of women who enjoy a good argument or enjoy matching wits with their spouse or mates and some men enjoy a good fight just like anyone else. But when it comes to love or marriage, most men would rather, Make love than start an argument, fuss, fight or go to war. This Valentines Day or the New Year, make love and do your best to avoid all wars or conflict. Make Love Not War! Write in the express your thoughts or views on the subject.